Heat oven to 400ºF. Toss squash with oil. Meanwhile, flatten bread slices with rolling pin. Press 1 piece onto bottom and up side of each of 12 muffin pan cups sprayed with cooking spray. 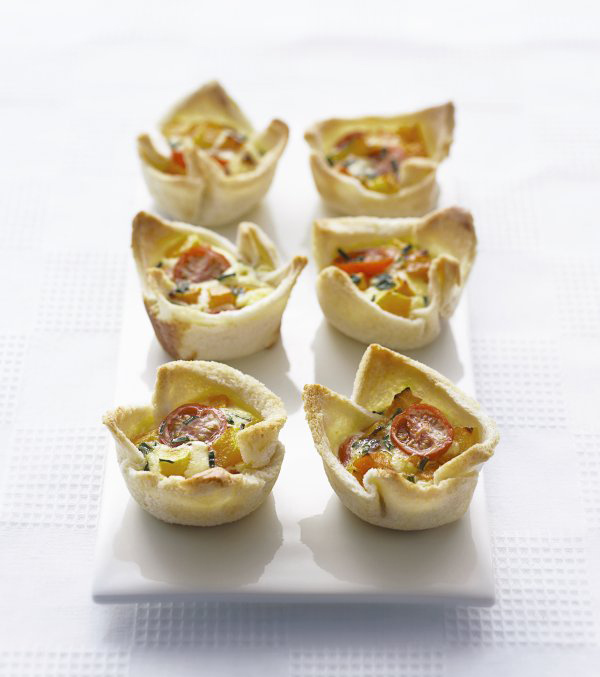 Combine squash and tomatoes; spoon into bread cups. Beat remaining ingredients with whisk until well blended; spoon over squash mixture. Bake 15 to 18 min. or until centers of filling are set and tops are golden brown..